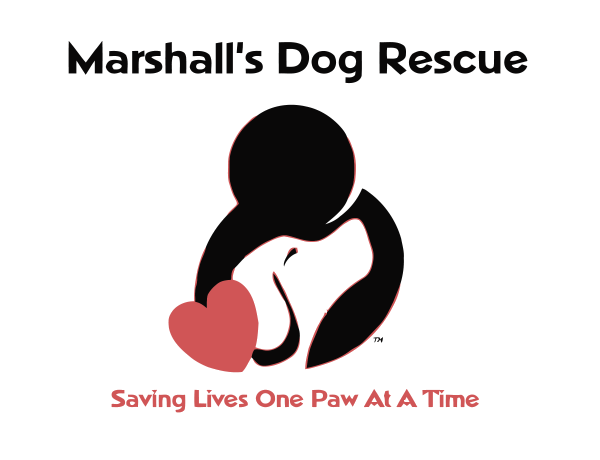 If you’re interested in adopting one of our rescue dogs you can submit an adoption application to Marshall’s Dog Rescue. The Adoption Coordinator will review the application and we’ll be in touch to chat further about the dog in question. The dogs who have come into our care have either been previously abandoned, abused, neglected or bounced around from homes and shelters. We ask for very detailed information because we’re trying to find the absolute best home for the dogs and the best matched dogs for our adoptive homes. We want to set both the families and the dogs up for success and we can usually tell from the information provided on the form whether the dog you’re interested in would be a good fit for your lifestyle and your expectations. We don’t adopt on a first come first served basis and once your references have been approved, we always conduct a home visit to be able to visualize where the dog will be living. Fill out our Adoption Form online. Yes, we ask many questions! It is through your answers that we’re best able to determine if a particular dog is a good match for you and your family. If you are not applying for a specific dog, it will give us the information we need (i.e. experience, lifestyle, etc.) to be able to match every dog with the appropriate home. If more information is required, our adoption coordinator will contact you to review your answers, fill in any blanks and provide you with more details on the animal you’re interested in. At this point you’ll be advised if the dog that you’re interested in is a good match or not. Please keep in mind that there could be several people interested in the same dog. Our goal is to find the best match for the dog. If you’re selected as the best match for the dog, we’ll contact you and arrange for a home visit, by appointment, for you to meet the animal one-on-one. If you wish to adopt this animal, you’ll be asked to sign an Adoption Contract and also to pay an Adoption Fee. If the animal you’ve chosen is determined to not be an appropriate match or there is another person who can better meet the dog’s needs, you may go on our Waiting List, so that you will be considered for another animal we have for adoption in the future. Your name will automatically be kept on file for 2 months. If we have not contacted you in the two-month period and you’re still interested in adopting, please let us know so that we can renew your application. Please understand that an immediate match/adoption will not always be possible. It’s DEVASTATING for the animals, for our volunteers, AND for you when an adoption doesn’t work out and the animal must come back to us. For this reason, we ask for your patience and understanding of our procedure. Not Ready to Adopt? Have You Considered Fostering?